She announced her shock split from Love Island co-star Eden Dally in early September. But it appears Erin Barnett is enjoying the single life, according to her latest Instagram Story on Wednesday. The 23-year-old was seen pretending to lick a phallic-shaped chocolate, gifted to her by company Dessert Boxes. In the short clip, Erin clad in a grey T-shirt and black leather jacket, is seen holding up a clear box containing a phallic-shaped chocolate. Looking glamorous with straight ash blonde locks, a flawless complexion and a false set of lashes, the reality star pretends to lick the sweet treat. Erin playfully accompanies the image with text that reads ‘True love. Best gift ever’. Having the last laugh, Erin shared with her legion of followers, ‘New d**k, who dis? [sic]’. It comes after Erin and Eden both took to Instagram in September to announce their split following a whirlwind three-month romance. On their respective accounts, Erin and Eden shared photos of them together with identical captions accompanying the posts. ‘We wanted to share with you, that after much deliberation, we have quietly parted ways,’ they wrote. ‘We look back and cherish the time we have spent together, the memories we have created, in both Spain and in Australia,’ the caption continued. ‘We can’t thank each and everyone of you enough, for the support and love you have shown us, but we have to be honest within ourselves as we realise that our forever as a couple, is no longer. The couple met while filming the first season of the Channel Nine dating show in Majorca, Spain which kicked off at the end of May this year. Despite experiencing a relationship with lots of ups and downs on-screen, the duo ultimately placed second in the competition’s grand finale in July. However, the romance wasn’t to last and the split comes after weeks of break-up rumours. 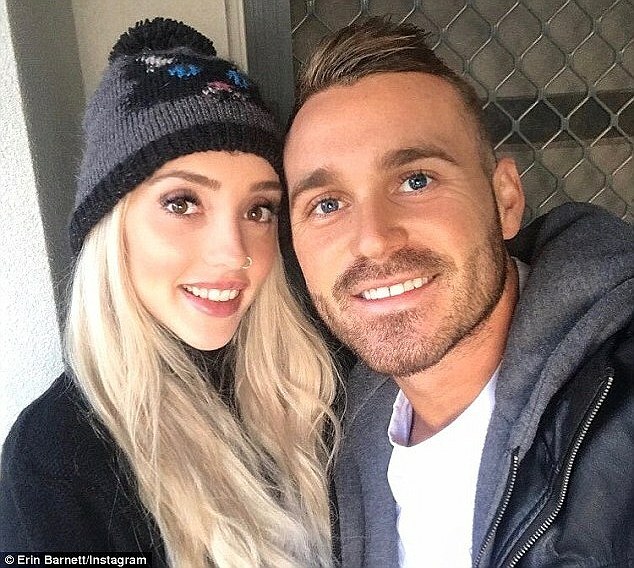 Two days prior to their confirmed split, fuel was added to speculation that Erin and Eden had gone their separate ways when the prison guard celebrated his 26th birthday without the blonde bombshell by his side.